Chefs tell stories, using flavors as words. With the best ingredients, the right balance, Chef Chris Hanmer can send you on a journey, back through time and imagination, bringing memory to life. He has spent his culinary career collecting stories and telling them through food. Then he wondered: What would happen if he took the same approach ... to ice cream? It's our guiltiest pleasure. The taste of our happiest moments. Imagine ice cream, elevated. 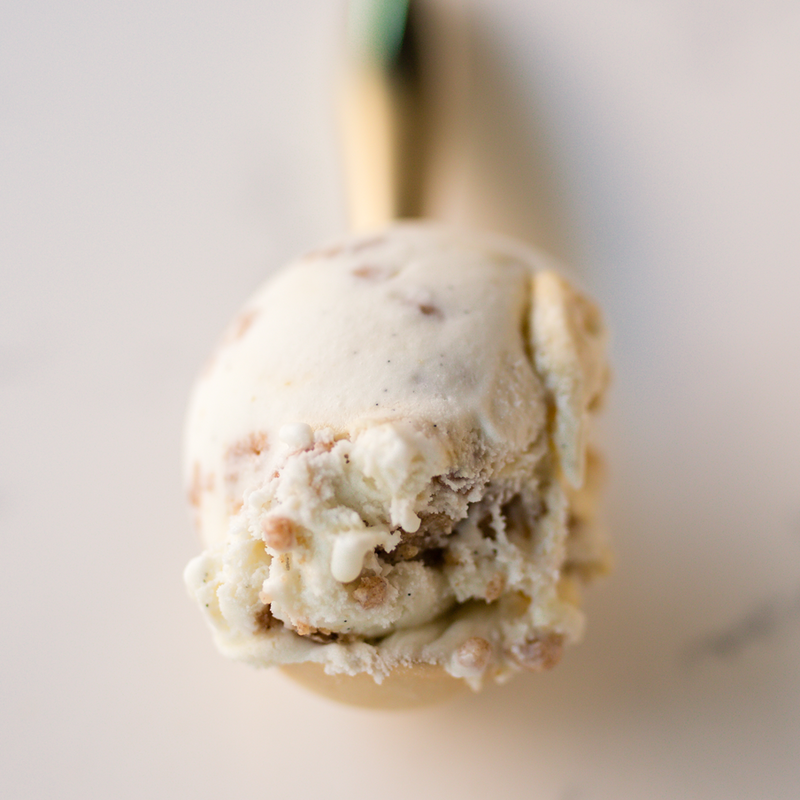 At Parlour Ice Cream House, we combine the exquisite, exacting culinary standards of a world class kitchen with the luxurious pleasure of ice cream and gelato. Each flavor is a time capsule, peeling back layers of sensory bliss. The menu changes with the seasons, inspired by wonder and the spirit of discovery. Parlour will take you on a beautiful escape. And did we mention it's ice cream? Think you know ice cream? Get ready for a surprise. Take the best ingredients and use them the best possible way, and the results are astonishing. Sometimes subtle, sometimes bold, always a revelation. 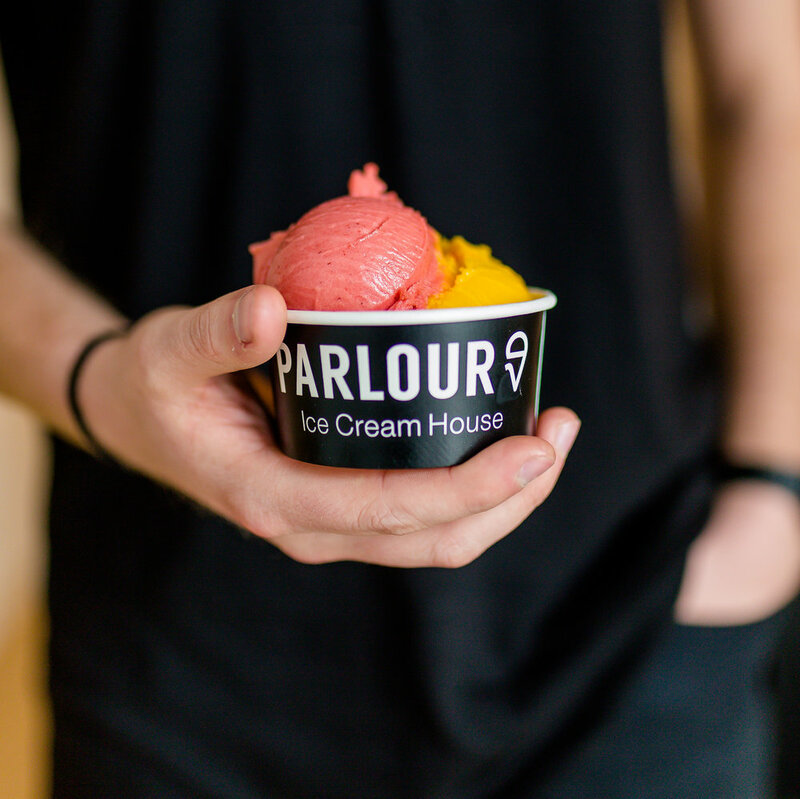 Parlour is focused on doing one thing, and doing it well. 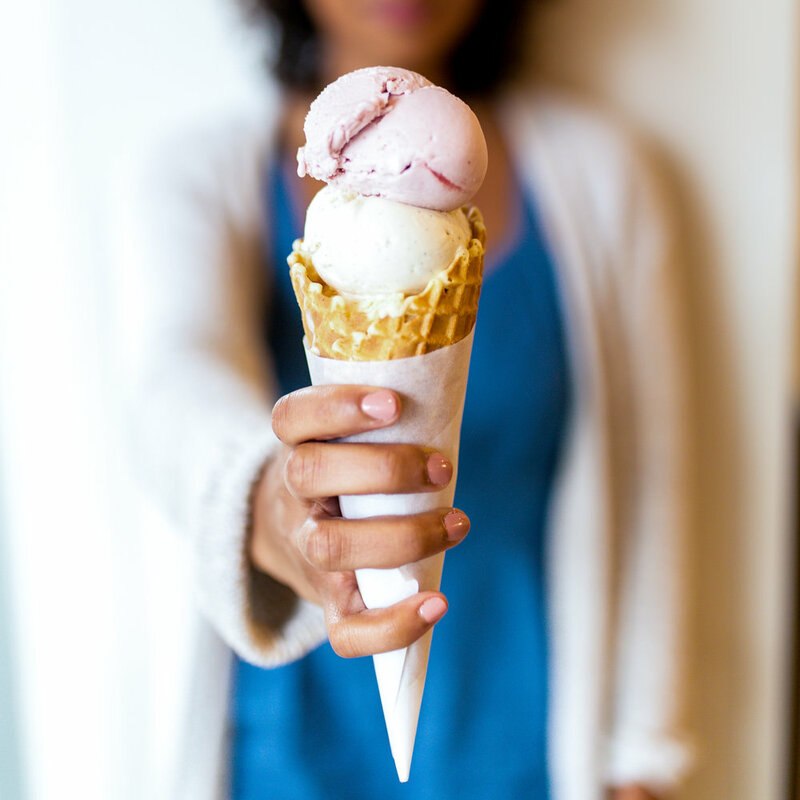 We love ice cream, and when you love something you want to give it your all. You want to explore its mysteries, unlock its potential. Every flavor is a love letter, a slice of life, a moment of joy frozen in ice cream. We want to share these moments with you. World Champion Pastry Chef Chris Hanmer sees the world through the lens of flavor. His insatiable culinary imagination adds delight to everything he creates. This perspective makes Parlour Ice Cream House unique. 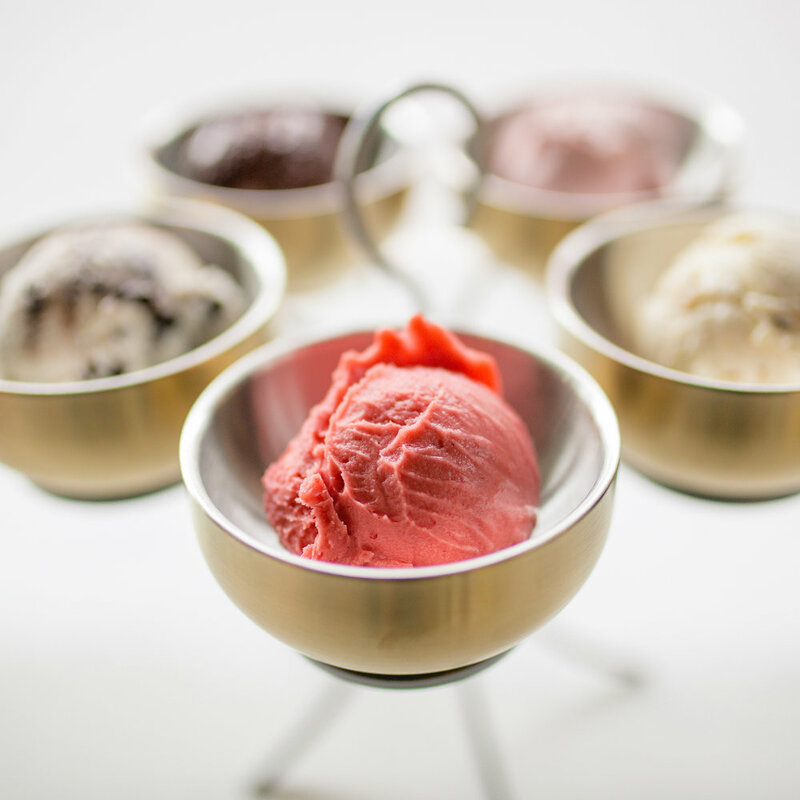 More than an ice cream shop, Parlour is a chef-driven emporium where every scoop is a surprise, a revelation. Chef Hanmer's meticulous craft has been twenty-five years in the making. From peeling potatoes at a country club at age fifteen to competing against world-class chefs on the international stage, he brings a fresh and innovative focus to everything he does. Chef Hanmer was awarded the gold medal as the youngest-ever American chef for a World Pastry Team Championship. He was named one of the Top 10 Pastry Chefs in America and awarded the title "Top Chef" on Season 2 of Bravo’s Top Chef: Just Desserts. After years working as the executive pastry chef for the Ritz-Carlton, in 2013 he opened his namesake shop CH Patisserie on Phillips Avenue in downtown Sioux Falls, SD. "EACH FLAVOR captures a memory. every LUXURIOUS bite is a moment of joy frozen in ice cream." 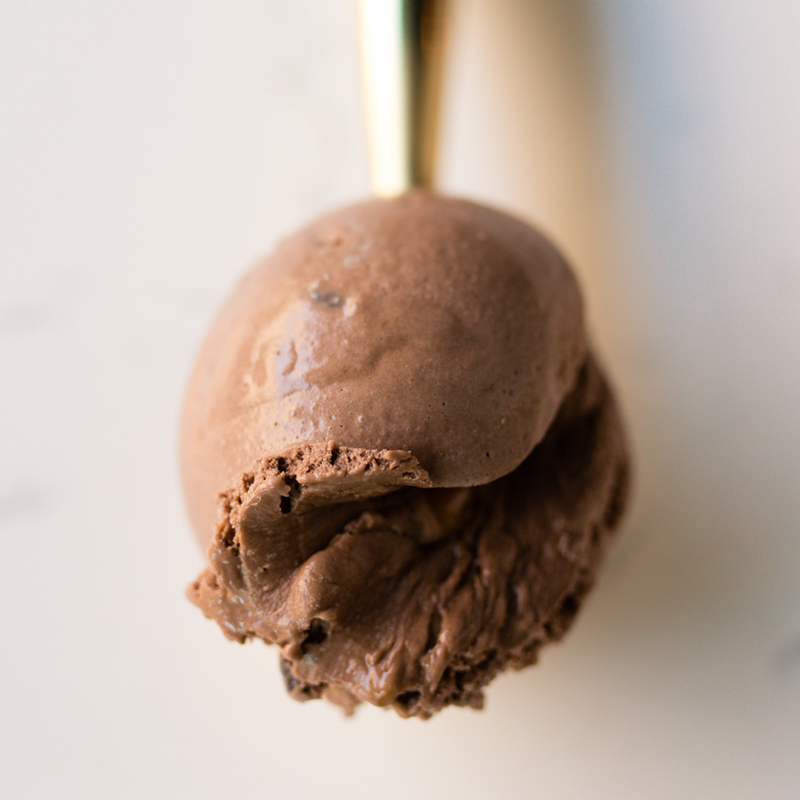 Are any of your ice creams nut-free? Yes, we have many nut-free selections to choose from but they are produced in a kitchen where nuts are present. Are any of your items vegan-friendly? Yes, all of our sorbets are considered vegan. Do you have any gluten-free ice cream? Yes, we have several items on our menu that are gluten-free. In fact, all of our sorbets are dairy free, gluten free and vegan. Have a question that we didn't answer? Please email us and we'll be glad to help you with your question.